Saint Louis University Athletic Training Program: Welcome Jason Bennett ! Jason Bennett MPT, SCS, ATC joins Saint Louis University’s Department of Physical Therapy and Athletic Training this month. He will serve as a faculty member in both the Athletic Training Education Program and the Program in Physical Therapy. He will serve as course coordinator for MAT 524/525: Musculoskeletal Assessment and Management I/II in the Athletic Training Education Program. Mr. Bennett is finishing work on his doctorate from Rocky Mountain University of Health Professions. He received a Master of Physical Therapy degree from Clarke College and Bachelor’s Degree from the University of Wisconsin—Platteville after studying athletic training at the University of Wisconsin-Madison. Mr. Bennett comes to SLU with a wide-range of experiences in athletic training and physical therapy. He has worked with a number of St. Louis area sports organizations, including a stint with the River City Rage Arena Football Team in 2009. . He has practiced as a physical therapist for PRORehab and currently practices at the SLU Student Health & Counseling PT clinic. Jason has been an adjunct instructor in both the athletic training and physical therapy programs, and his role in both programs with be expanded in this new position. 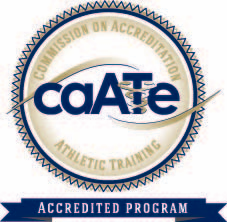 His experience, knowledge, and skill as an dual credentialed practitioner will be a great asset in the education of athletic trainers and physical therapists. Long a leader in educating health professionals, Saint Louis University offered its first degree in an allied health profession in 1929. Today the Doisy College of Health Sciences offers degrees in physical therapy and athletic training, clinical laboratory science and cytotechnology, nutrition and dietetics, health informatics and information management, medical imaging and radiation therapeutics, occupational science and occupational therapy, and physician assistant education. The college's unique curriculum prepares students to work with health professionals from all disciplines to ensure the best possible patient care.